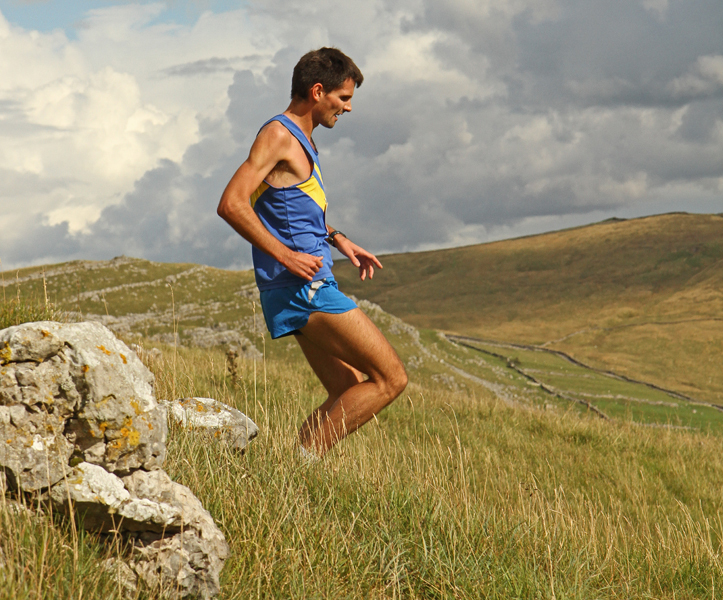 August Bank Holiday weekend is a real treat for northern fell runners like us, as we can hardly move for country shows, village galas and agricultural fetes. For the benefit of Fell Running Briefs' fans in Bhutan, these 'shows' are what you see in an average episode of Midsomer Murders, however invariably without the summer, or the murders. 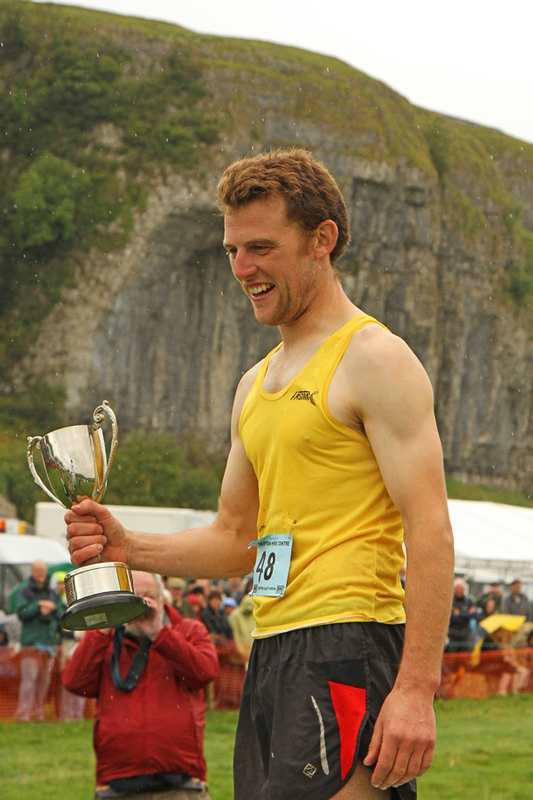 The country shows will have a fell race however - a lungbusting burst to the top of the fell and a hair-raising descent back to the showfield with anything ranging from an historic silver trophy to a humble snake belt as the prize for the first man back. And being northern country fairs, the organisers have no need for the modern timing techniques that road runners use (chips are simply something you put salt 'n' vinegar on). Results are displayed neatly on wooden boards using stickers, written in pen, sometimes using colour coded highlighters. 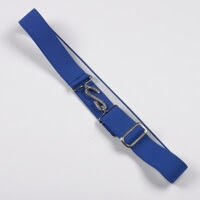 However (and exclusive to Fell Running Briefs!) 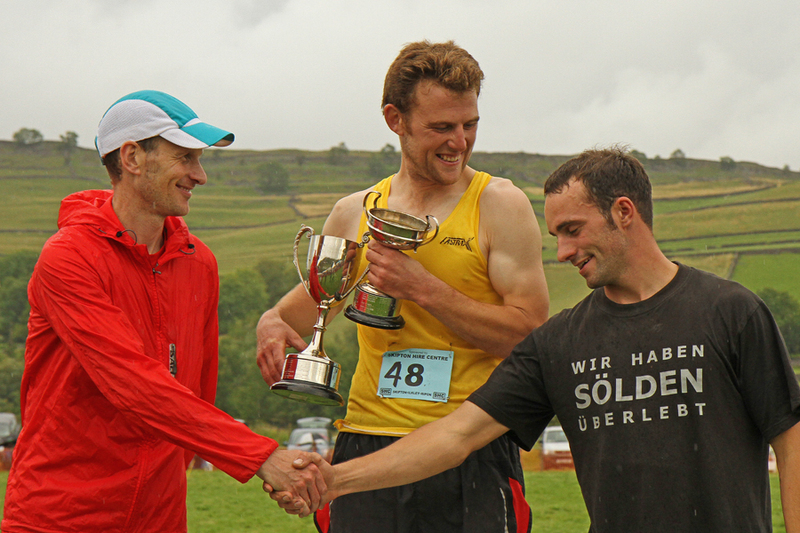 for the first time ever, using social media (ie the 'forum' and a chap @Daleside_ met called 'TWITTA') we've managed to pull together a summary of the winners at the Bank Holiday Fast Shows. Photos thanks to Wharfeego again. James Buis runs for Heaton (note the spelling - it's a club on Tyneside). Great blog. Thanks for that - that's my poor handwriting! Amended - A great run by James. Was he scared Lizzie was going to beat him too?! Will follow your blog with interest MH. Aha! I knew there couldn't possibly be two sets of Jane and Jim. They are our friends too! http://fellrunningbriefs.blogspot.com/2011/08/lizzie-adams-wins-best-in-show.html have you read this article too featuring pic of jim?